Android has risen to become one of the most popular mobile based OS recently. It has in no doubt stolen the mantle from iOS, Symbian OS and Windows mobile OS. 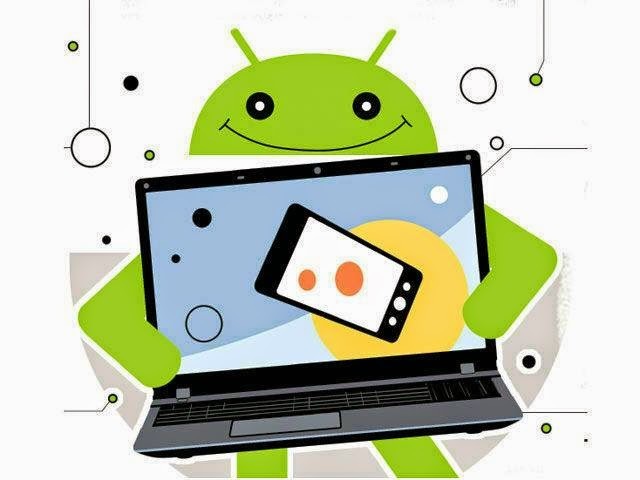 Because of its popularity and also the availability of millions of apps on the Google's app store, Developers are trying to bring this mobile experience to the PC world. This idea of running Android alongside another operating system on the PC is not new. Few brands like the likes of Asus, Lenovo and others have already released a few tablets and all-on-one systems that had the ability to switch back and forth between Android and Windows Environments. The breakthrough to this long had idea seems to have finally arrived as The enterprising Team of iConsole developers at Mobile Media Ventures Inc., however, have taken things a step further and released a downloadable distribution of Android that can be installed on an x86 system by end-users, and dual-booted with Windows (and presumably, other OSes, eventually). That distro is called Console OS. Console OS has been talked about before, when it first hit Kickstarter, for example, but the OS is not in the wild and ready for public consumption. According to the Console OS website “They claim to have taken Android apart, and put it back together for your PC. Console OS is a distribution of Android designed to take everything that has made mobile awesome, and bring it back to your PC.” This seems a success in the sense that when manufacturers cram Android onto non-traditional devices like the aforementioned all-in-ones, the Play store is often unavailable, compatibility takes a hit, or the interface is modified beyond recognition. That’s not the case with Console OS. In one of the demos available on the Console OS site, Unreal Engine 4 is shown running with smooth, high-framerates on a Dell XPS 12 convertible, whereas a Google-branded tablet throws up a slideshow. Keep in mind, however, that the XPS 12 has a Core i-series processor with desktop-class graphics, whereas the Google tablet is a much lower-power mobile SoC (System On A Chip). I should also note that Console OS is only officially supported on a handful of systems, though it should install and function properly on other systems, provided they’re built around similar hardware. Whether or not PC users gravitate towards something like Console OS remains to be seen. As handy as it may seem to a have access to all of the same apps available on Android-based mobile device on a PC, I don’t see the market clamoring for it. Just as Windows 8—which was decidedly more touch / mobile oriented when it was originally released – put off desktop users, Android, is a mobile OS designed for small-screen, handheld devices first and foremost. The user experience on larger systems just isn’t the same. Despite the limitations based on users going for it, Console OS could be popular with enthusiasts that like to play around with different operating systems on their PCs. And it’s those vocal enthusiasts and early adopters that usually come up with interesting use cases for things like Console OS.